What I have somewhat neglected to recognize consciously is the fact that my Ascendant has been receiving laser beams at it by all the outer planets starting with Jupiter and including the North Node. 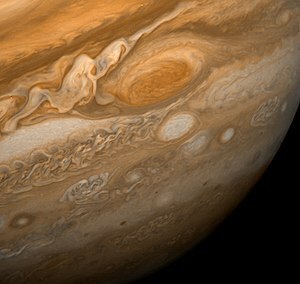 I’ll talk about these in future posts but in this one I’ll talk about Jupiter. Don’t be surprised if there is another post to go along with this one. Jupiter in Cancer, while in the single digits have sextild my Ascendant and explains the yo-yo effect on my appetite and the way that I look at life. At first I started back craving sweets and my all time favorite potato chips. Then the cravings kinda went away or maybe I should say I’ve had more willpower (Scorpio) and discipline (Saturn) to control the indulging the last few weeks. Taking a risk of sounding like Martha Stewart, “that’s a good thing” because my waistline has expanded from all those (Jupiter) size bag of chips I have been eating…by myself. I am definitely an emotional eater and the emotions have run on overdrive as I go from being optimistic, well somewhat optimistic as being one of those happy-go-lucky totally optimistic is so not me, to totally pessimistic. Maybe one day, I’ll be optimistic. Nah, I doubt that…too Plutonian. Now Jupiter in Cancer so far has delivered more than just the bag or three of chips lol. As he’s traveled through my 11th house, he’s gifted me in the form of expanding my network. More accurately, I’m finding my tribe which is basically what a family is. The difference being its with people who are not related by blood. And the best part… you get to choose! Again, a good thing as finding these people has helped me feel more secure in learning, expanding, exploring and sharing the Uranian part of me that has been forced underground since childhood. That goes for the Plutonian part as well since they are as one in my natal chart. I’m reading “Exploring the Astrological Key to Jupiter” by Stephen Arroyo so I’m sure I’ll have more to say later. And hopefully my posts will get better.